Jeff Richardson, Aurora Group’s Trade Director, reveals how you can have ﬁre rated, dimmable, tuneable white capability, with a fast install and Smart control all in one downlight. 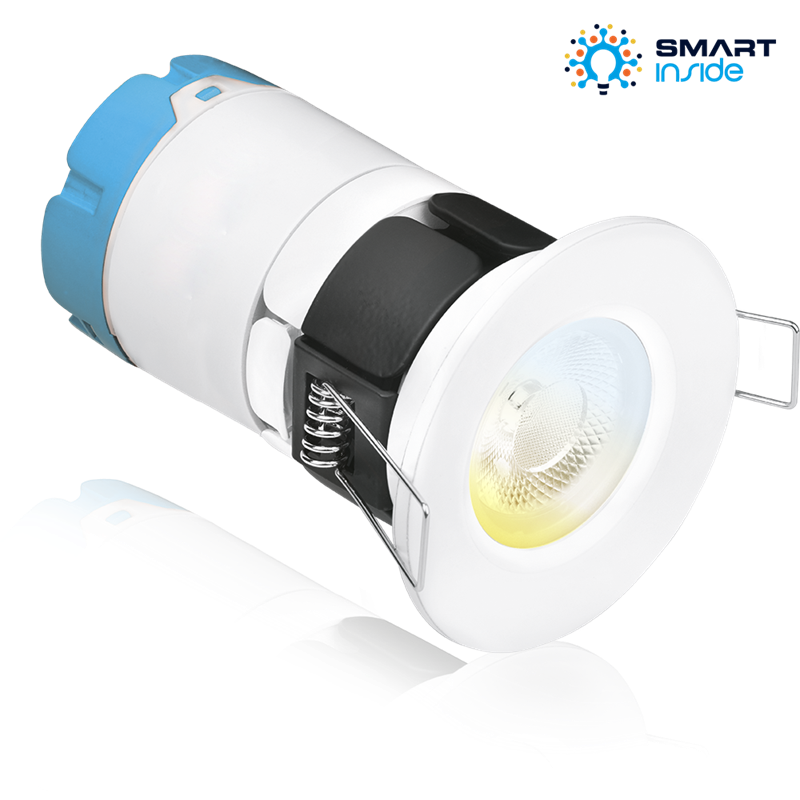 The mPROZX is the ultimate Zigbee Smart, dimmable, tuneable white ﬁre rated downlight upgrade for your lighting space! This IP65 direct replacement has a convenient one-step installation process and features a convertible body for recess voids with limited space. Offering Smart Inside technology, ensuring customers have the ability for advance control of their lighting, both at home and away from home. With a reputation for reliability and over a decade of experience in producing LED ﬁre rated downlights, there’s a reason why Aurora & Enlite are the market leaders. In addition to consistently producing innovative designs combined with great value, our proven track record of manufacturing extremely reliable fully integrated and GU10 ﬁre rated downlights makes us the speciﬁers and installer’s ﬁrst choice every time. One-step installation is made possible by using the included FastRFix™ system connector and the popular convertible body design allows for easy installation in recess voids that are as low as 56mm. The interchangeable IP65 bezels come in a variety of colour options: White, Matt White, Polished Chrome and Satin Nickel meaning that they deliver a sleek ﬁnish to suit the most exacting client. 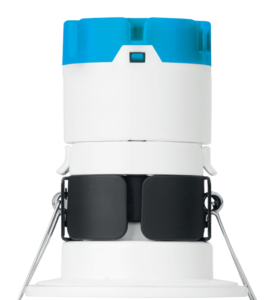 The tuneable white feature allows you to control the colour temperature between 2200 – 5000K. Create scenes in each space and schedule them to adapt your environment to ﬁt the time of day and mood. With LEDchroic™ lenses the mProZX has the appearance of a traditional halogen, with anti-glare and precise beam control, with the added beneﬁts of the efﬁciency of LED and offering you piece of mind with a 5 year warranty. Simply replace the non-smart downlight with mProZX, pair it to the AOne™ Hub via the app, then control your lighting using remote or kinetic wall controllers and via phone app. 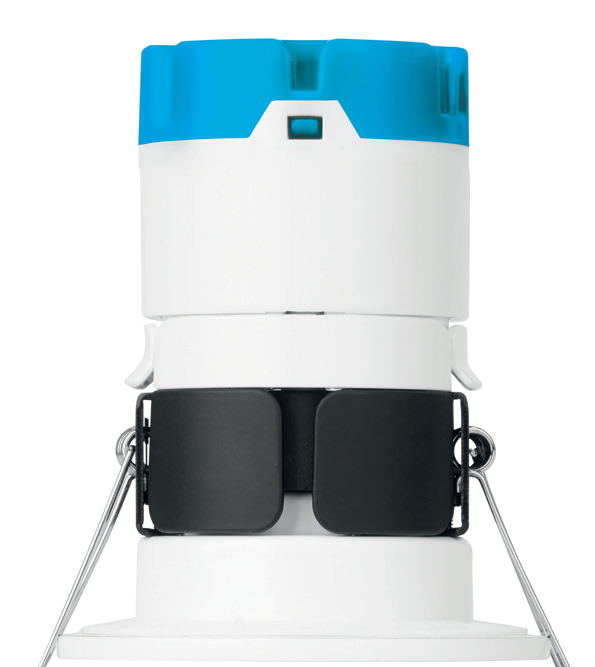 Using Smart Inside technology the mProZX can be controlled individually or as part of a group. Utilising the app allows for control from anywhere in the world! Ticking the boxes for customers and being Smart has never been easier! Available in more than 70 countries worldwide, Enlite and Aurora’s trade solutions are the ‘smart’ choice for both electricians and wholesalers alike.